SoftLedger is primarily cloud accounting software for mid and small-sized businesses. The business has been established in 2016. 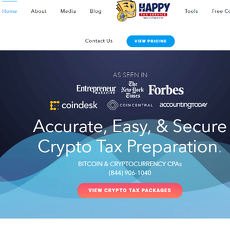 One of its services is to provide software which can help users calculate cryptocurrency taxes. Softledger provides integration with major cryptocurrency exchanges. There is little information provided on their website in regards to price as cryptocurrency is just one of their many services. Users can request a demo to try the software. The product is aimed more for businesses dealing in cryptocurrencies than everyday users. 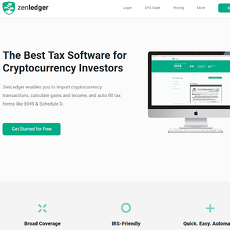 SoftLedger can integrate with the exchanges and services that the client is using and automate all the relevant information for taxes. 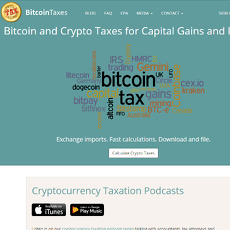 Deposits, withdrawals, transfers, and trades can all be automatically recorded and accounted for in relation to tax. Users can see cost basis and unrealized gains/losses in real-time. SoftLedger also offers reporting outside of tax where users can analyse financial reports for their business to make informed decisions. Users also have the option to integrate with SoftLedger’s other services for an all-in-one accounting solution. 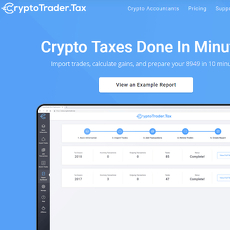 With competitors whose sole focus is to cater for cryptocurrency tax solution, SoftLedger would be a subpar solution when competitors are taken into account. However, SoftLedger may cater more suitably for businesses whose primary operation is outside of cryptocurrencies but the business does some amount of dealing and trading in cryptocurrencies.